Good Lord, these militant neo-liberal thought police are better at brainwashing than I ever realized. They just convinced you to torpedo your own network. You guys just kamikazed yourselves. You just pulled the pin on the grenade and then put it in your pocket. This is incredible. Didn’t you see what happened with Chic-fil-A when GLAAD crusaders tried to shutdown an entire business just because they disapproved of the owners opinions? Don’t you remember that? I’ll refresh your memory: their “boycott” resulted in an enormous sales spike for the company, as millions of people like myself went out of our way to eat there just to ensure that the anti-free speech fools on the left didn’t win. A week after the anti-Chic-fil-A campaign began, their restaurants across the country were overflowing. It was, officially, the least effective boycott in the history of mankind. Just to be doubly clear: you guys hate the Bible and find it to be offensive, right? Or is it just parts of the Bible? Or is just Christians? Or is it just Christians who have the audacity to believe in the entire Bible, rather than a select few segments that pass the modern PC litmus test? Just let me know, and I’ll send the word along to my readers, many of whom are Christians who watch — I mean, used to watch –A&E. I’m sure they’ll be interested in finding out that you view their faith as so abhorrent that you’d fire a guy simply for quoting a passage from Scripture. I have never watched this show. Not once. I respect head Duck guys right to say what he wishes. Turns out, many are smearing him and twisting words. December 19 the Huffington Post added its two cents to the Hollywood Left’s ongoing smear and character assassination of Phil Robertson of the “Duck Dynasty” television series by condemning him for something he never said. 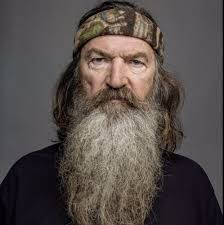 The publication recruited one Cavan Sieczkowski, who writes a “gay voices” column for them, to proclaim that Phil Robertson “claims black people were happy pre-civil rights.” He then excoriates Robertson for supposedly condoning Jim Crow laws. Other media leftists have told even bolder lies about Robertson. One John McIntyre, writing in the December 22 Baltimore Sun, falsely claimed that Robertson told GQ magazine that “black people were better off, and happier, as slaves.” Of course, he never said any such thing, as McIntyre must surely know. You can apparently get away with any falsehood, no matter how outrageous, when you are a lefty writing for a left-wing propaganda rag like the Baltimore Sun. But the allegedly “damning” quote from a GQ magazine interview with Robertson says nothing at all about civil rights, Jim Crow laws, or discrimination. Sieczkowski made the whole thing up, then attacked Robertson for saying something that he never said. “Jim Crow laws enforced a system of subjugating African-Americans in the South,” he screeched ever so indignantly, apparently oblivious to the fact that racial discrimination was always as bad, if not worse, in places like New York, Boston, and Chicago during that same time period. Such historical facts are always ignored whenever the New York-based leftist media engages in yet another round of South-bashing. “I never, with my eyes, saw the mistreatment of any black person. Not once. Where we lived was all farmers. The blacks worked for the farmers. I hoed cotton with them. I’m with the blacks, because we’re white trash. We’re going across the field . . . They’re singing and happy. I never heard one of them, one black person, say “’I tell you what: Those doggone white people’ – not a word! . . . . Pre-entitlement, pre-welfare, you say: Were they happy? They were godly; they were happy; no one was crying the blues” (emphasis added). The last sentence here is the real smoking gun. What Robertson is obviously saying is that, prior to the explosion of the American welfare state, the black people he knew and worked with and lived around as a child growing up in Louisiana were “godly,” hard-working people. They had not yet been indoctrinated by the leftist “civil rights establishment” to quit working, collect welfare, and endlessly complain and “cry the blues” about how awful life in America was. He was making a statement about how the welfare state has been so destructive to black families. He was not commenting favorably on Jim Crow laws, as Sieczkowski misleadingly implied. Phil Robertson is not very articulate, but what he said is backed up by decades of solid academic research. As economist Walter E. Williams has pointed out, welfare has done to the black family what even slavery could never do: destroy it for almost three fourths of the black population. As Williams has often pointed out, the black “illegitimacy rate” today in the U.S. is about 70 percent. Prior to the expansion of the welfare state, in the early twentieth century, it was about 10-12 percent. By focusing so much of the welfare state on the black population, government has targeted the horrific effects of welfare statism such that it has had a grossly disproportionate racial effect. The white illegitimacy rate has also been climbing for decades, and for the same reason, but it still has a long way to go to reach the devastating levels of the black population. Welfare eliminates the stigma that most men once had about abandoning their children, as government becomes the new “daddy” once they disappear. This, along with the decades-long propaganda campaign by the state to also eliminate the stigma of single motherhood, has decimated the black family in America. It is doubtful that the proud, self-described “white trash” redneck Phil Robertson is familiar with any of this research. But unlike gay Hollywood left-wing ideologues and political hacks, he has lived alongside black people his entire life down in Louisiana. (It is unlikely that any of the lily-white “gay voices” who are attacking him ever hoed cotton side-by-side with black people as Phil Robertson did as a teenager). Robertson has simply observed the sad destruction of the black families he grew up with and is disgusted at how so many of them have taken their cues from the “civil rights establishment” and have become whining crybabies, constantly begging for more and more government handouts. (It brings to mind the explosive headlines recently about a supposedly “catastrophic” $10/month reduction in food stamp subsidies that set off a new burst of whining and crying by the welfare parasite class of all races). Moreover, Robertson never said that ALL black people were “happy” in the “pre-civil rights era,” as the Huffington Post incorrectly stated in its headline. He was only referring to the “godly,” hard-working, black families of his youth in a small part of Louisiana. Facts are never too important, however, when one is in the midst of a witch hunt.